More and more organizations that have converted to “agile” management are using what is called a scrum master. Similar to a project manager, he nonetheless wears several hats and plays a distinct role. If you are thinking of becoming a scrum master, here is what you need to know about this new profession. The scrum master must have several strings in his bow to effectively support work teams. Acting more like a “coach” than a superior, his goal is to help the people he works with to achieve their objectives by enforcing deadlines and ensuring that each team member is contributing to delivery of the product. What does the scrum master actually do? The scrum master applies “agile” methods where he works. Using four fundamental values, the agile approach is based on individuals and their interactions rather than on the process and tools, on collaboration and discussion with customers rather than negotiation, as well as on adapting to change rather than following a plan. This approach aims at cooperation, creativity, simplification of development processes and higher customer satisfaction. In this spirit, the scrum master acts as an accompanist to the project teams in order to make them more dynamic and efficient. Among the qualities required to carry out this mission well are being resourceful and ingenious, liking to help others, knowing how to adapt to change and to individuals, knowing how to respect and be respected by others, being empathetic and not being afraid to disrupt the established order. 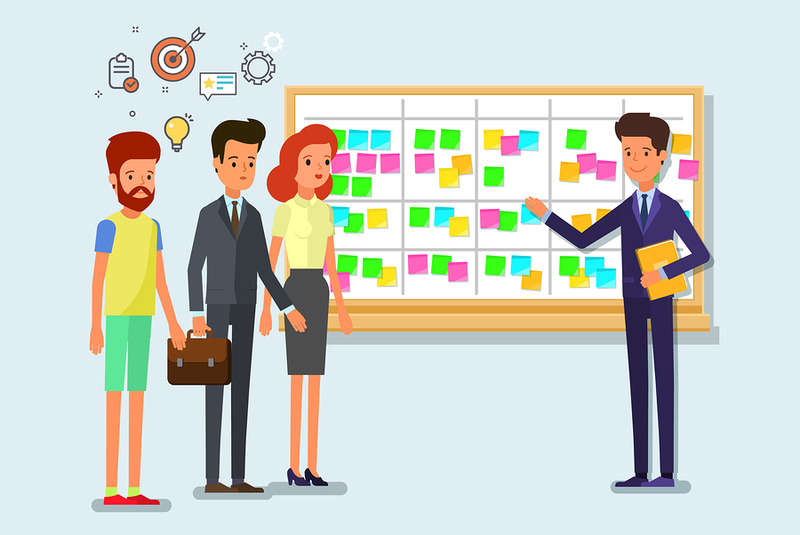 Indeed, if the scrum master is to play a facilitating role, he should also not hesitate to break the status quo to find more productive and creative ways of working. Being compared to the “game master” in a role play, the scrum master must also be able to stimulate creativity, apply innovative working strategies, as well as know how to be self-organized and have good stress management. In Canada, the average salary of a scrum master in his first year on the job ranges between $70,000 and $100,000.